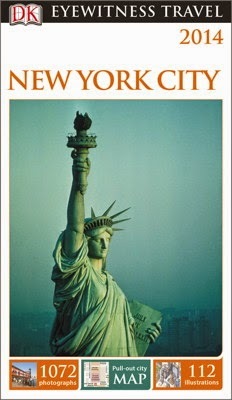 Okay, I know you are going to say, Why does Rosemary need a New York City travel guide? Well, I am very picky about guide books I purchase, and I do not find too many that informative. I use Red Maps for a paper map, and my Samsung Galaxy Note for checking on things while in the city. I am always looking for a good guide book, one that can show me things I don't know, or give me history about various places. When DK Eyewitness Travel Guides emailed me about doing a giveaway with their guidebooks, I was interested. 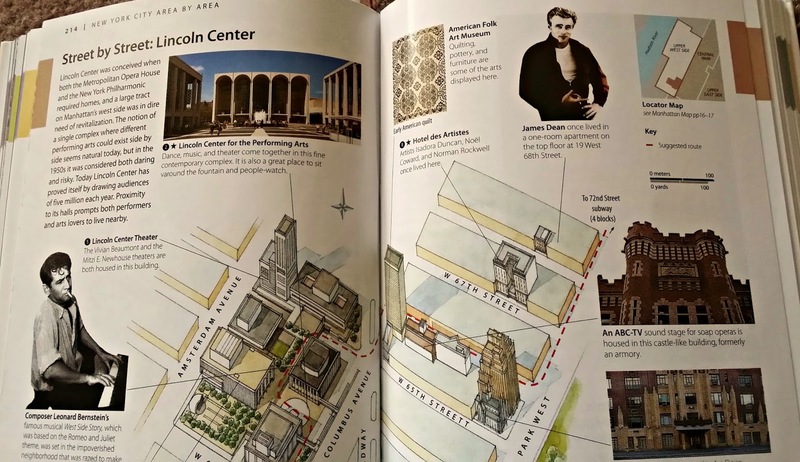 They looked great from what I saw online, so they were kind enough to send me the NYC guidebook to check out in person. 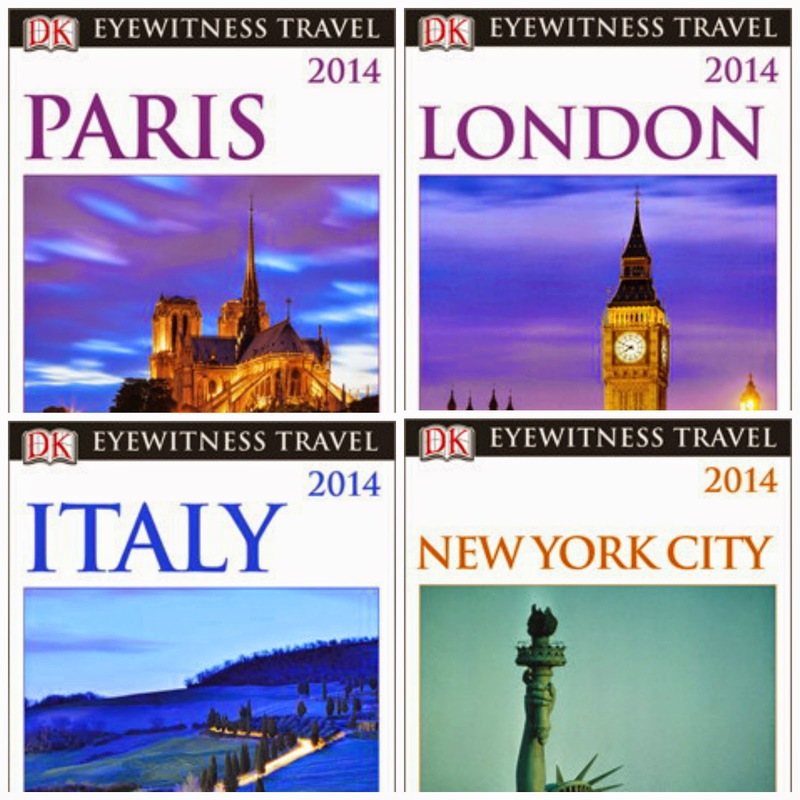 For more than 20 years, travelers have trusted the details to DK Eyewitness Travel Guides. And chances are, your readers already have a few worn-in copies of their own. This summer, travelers to iconic destinations like Italy, London, Paris and NYC will notice an upgrade to their much-loved guides. 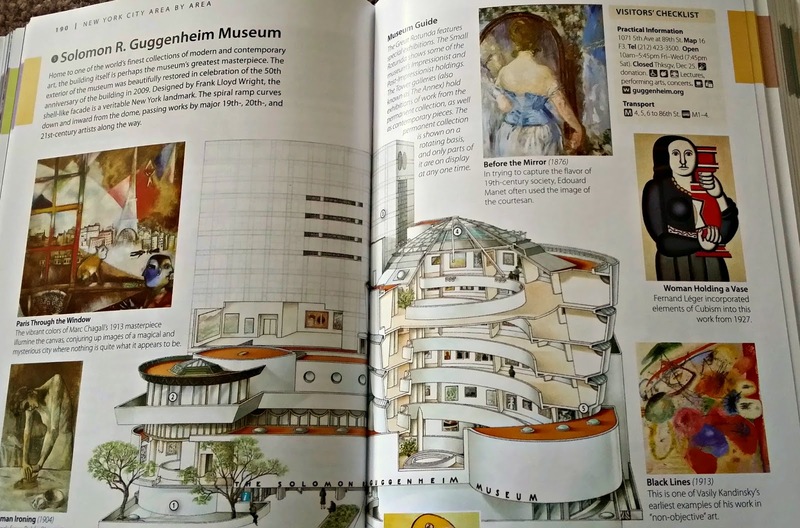 When I opened the book, which is a very nice size, I was thrilled to see so much information! 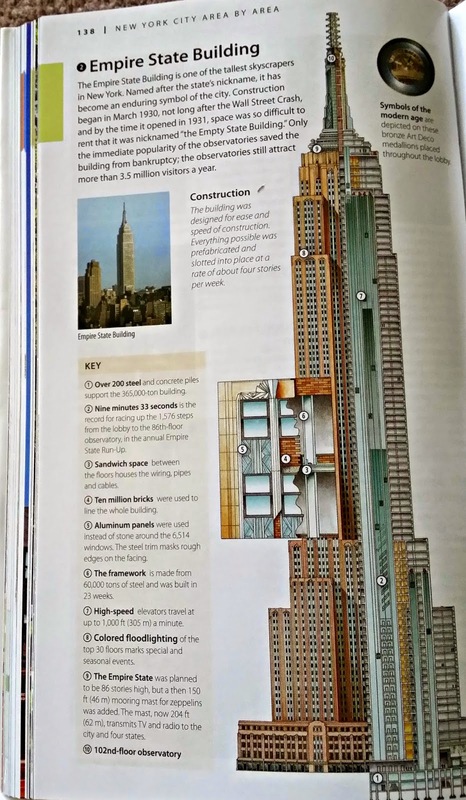 This page talks about the Empire State Building's interesting facts. 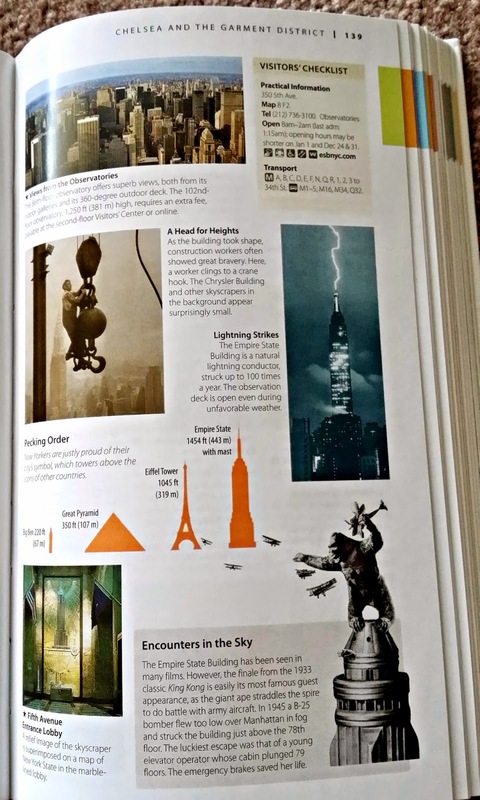 This is not your normal guide book, I love how they have the photos of what they are talking about scattered on each page. 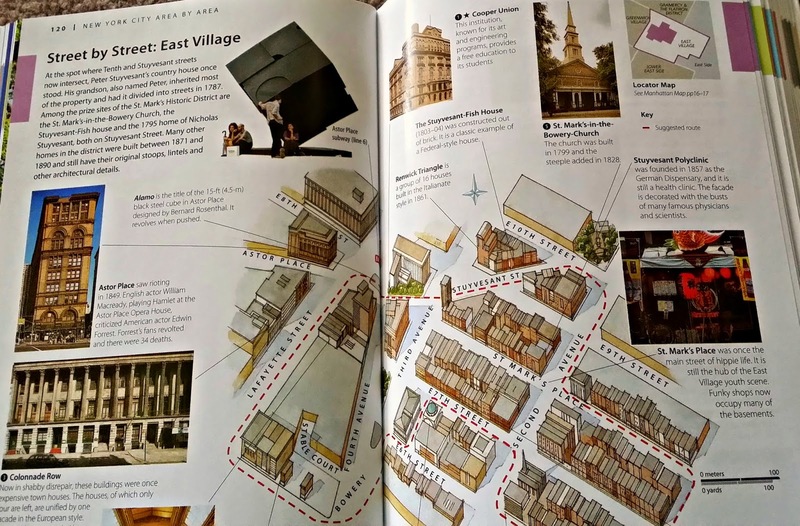 The end of the book has larger size maps of each area, as well as a pull out map too. 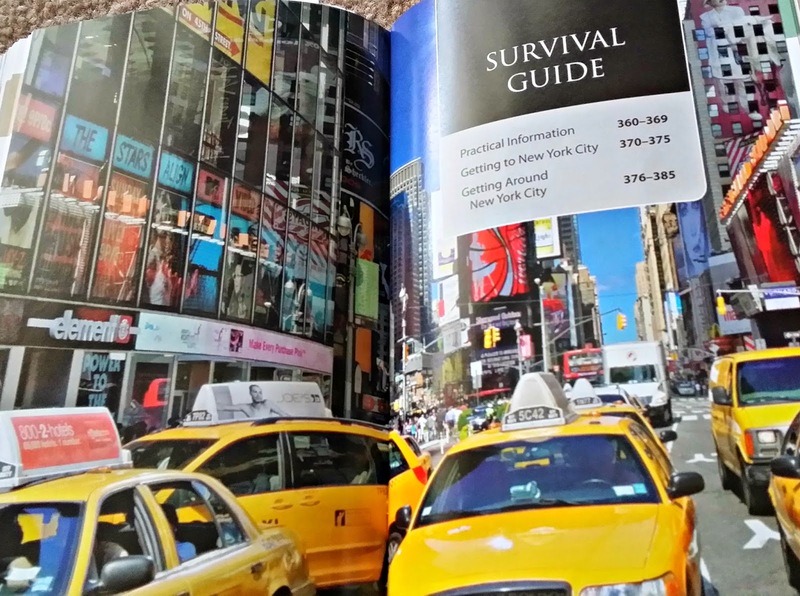 The survival guide is really good information for the newbie visiting New York City. I really enjoyed the street by street pages in the East Village. It is nice to read about the history of places you are going to see. I also like that they show photos of the places so you know what to look for as well. They have fabulous coverage of the museums in the city as well. Very detailed information, works that are not to be missed while visiting these amazing places. Being a big James Dean fan, his photo caught my eye here. Seems he stayed in a one-bedroom apartment in the top floor of 19 West 68th Street. I have to be sure to check that out when in that area the next time. Such cool information!! ALL FOUR DK EYEWITNESS TRAVEL GUIDEBOOKS !!! Details: This giveaway is open to US and Canada Residents and will remain open until June 9th at 11:59 p.m. EST. Any comments left after this time will not be counted. The winner will be selected randomly and will be notified via email and will have 48 hours to claim their prize. Good Luck to Everyone!! “It’s hard not to love the dynamic use of color pictures—and the sizable color street, hotel and subway/bus maps…[The maps are] epic. No other guidebook maps can compare..."
Disclosure: I received DK NYC Eyewitness Travel Guide for the purpose of this giveaway and review. The opinions expressed here are completely my own based on my own experience with this product. I only recommend products and/or services that I have personally used and feel will be of interest to my readers. DK Eyewitness Travel will ship the items to the winner.